J.K. Rowling's chair, the one she used when she wrote two of the Harry Potter books, is going up for auction at Heritage Auctions in New York City on April 6, 2016. I agree with the Heritage Auction's representative when he says that this chair deserves to be enshrined somewhere. 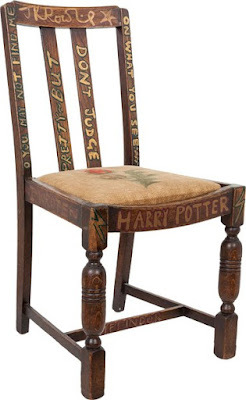 Any fan of the Harry Potter books would love to own this chair because of the connection to the author. 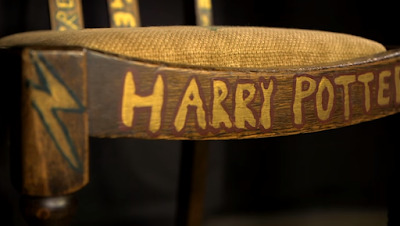 The chair comes with a letter of authenticity from J.K. Rowling attesting to the fact that she used this chair to write the first drafts of Harry Potter and the Philosopher's Stone and Harry Potter and the Chamber of Secrets. If you are interested, you can bid online, via the post or on the telephone. 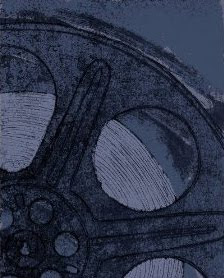 Learn more at Heritage auctions here. However, you might need really deep pockets or a bit of wizard magic as The Telegraph says that this chair is expected to fetch $45,000. Not an easy price for most of us mere mortals. If that price is out of your reach and you are at all artistic, why not recreate this chair for yourself? 1930s era oak dining chairs like this one are readily and affordably available and the work requires only a piece of burlap, some paint and imagination. Just make sure that you choose a sturdy chair that does not require any structural repairs and beware that although Rowling wrote the books in this chair, it is not a comfortable one. I found a few similar chairs on eBay that would work. See Heritage Auction's video of the chair on Youtube.